← How can Fest of Ale be nine years old? 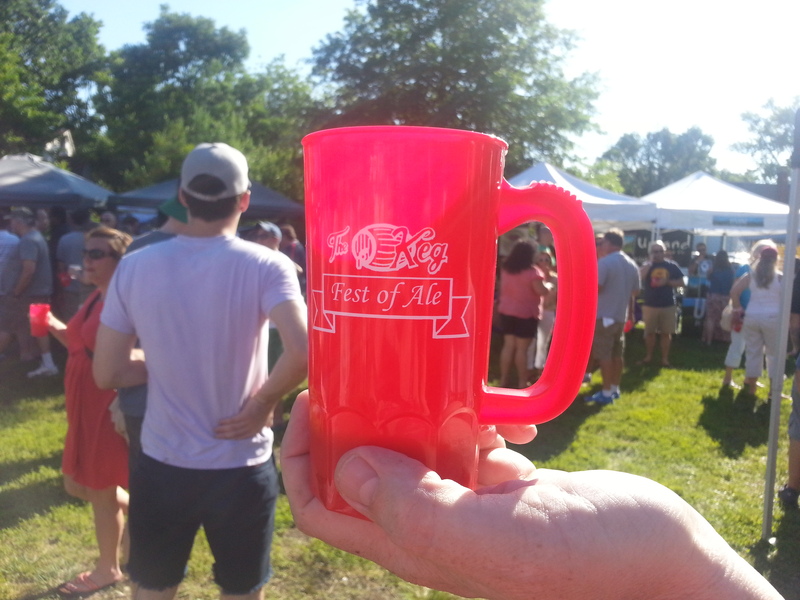 The final ticket tally for Fest of Ale 2014 was 1,600, according to organizer Todd Antz, breaking last year’s record of 1,500. Update: Antz reports that this year’s Fest raised $13,000 for the WHAS Crusade for Children, well above last year’s $10,000. The ridiculously beautiful weather sure didn’t hurt things. It was a warm (but not too warm), sunny day, and the thirsty crowds drank plenty of beer and had plenty of fun. The House of Hops returned, still in the Miller Lite and Bud Light trucks (oh the irony), and was joined this year by a next-door neighbor, the Sour Shack. I tried so many different beers of so many different styles from so many different breweries that palate fatigue was unavoidable. But a couple that forced me to take note were Quaff On’s Crosshair Double IPA, Jolly Pumpkin’s Bam Noire (from the Sour Shack) and Fat Head’s Head Hunter IPA, which came by way of recommendation by Tim Furnash, who was pouring at the House of Hops. I need more Fat Head in my life. And, as usual, the crowd was a familiar one, which only makes the event better. As for the record attendance, that’s obviously a good reason this year’s donation eclipsed last year’s mark of more than $10,00. Antz said last year the donation, which goes through the Clarksville Fire Department, was at least a third of the department’s total donation to the WHAS Crusade for Children. Antz said he expects to announce this year’s donation total sometime this week.